As CTL’s scholarship beneficiaries have started graduating from secondary school, it has become increasingly apparent that, while a secondary school diploma is certainly a worthwhile qualification to pursue and complete, it does not go far enough in helping young girls become financially independent and adequately qualified to find jobs in the burgeoning but still limiting economic climates of their countries. Enrolling in university is an option which remains financially out of reach for many. While discussing these issues with CTL secondary school teachers during a visit by CTL Program Manager Tara Ocansey to CTL’s participating schools in Mayange, Rwanda in April 2016, the two CTL coordinating teachers at the schools where CTL works, Theoneste Hagenimana and Emmanuel Bagaragaza, suggested funding vocational training for the CTL scholarship students. Not long after, Theoneste and Emmanuel, with support from the Millennium Villages Project Team Leader in Mayange, John Mugabo, submitted a proposal for the 40 CTL scholars to attend a 3-month vocational certification program during their school holidays between their 3rd and final year of secondary school. After some back-and-forth with the families and facilitators, the budget was approved for the girls to attend the program between November 2016 and January 2017. To provide some context as to the value of technical and vocational training (TVET) in Rwanda, TVET is commonly highlighted by the government of Rwanda for accelerating the country’s “Vision 2020,” which aims to reduce people’s reliance on subsistence agriculture through investment in skill development in other sectors. Rwanda’s National Employment Program (NEP) aims to create at least new 200,000 non-agricultural jobs per year, with special consideration given to job training for youth and women. The implementation of the NEP has required a wide range of integrated and well- designed policy and program interventions, addressing both labor market demand and supply. In order to create a critical mass of skilled employees built in key economic sectors, the government is targeting to have 65% of young people enrolled in TVET schools. There has therefore been increased focus in training in targeted skills through TVET programs. There has also been a shift towards the creation of incentives for investment in youth by private employers to scale up apprenticeships, internships and on-the-job training. 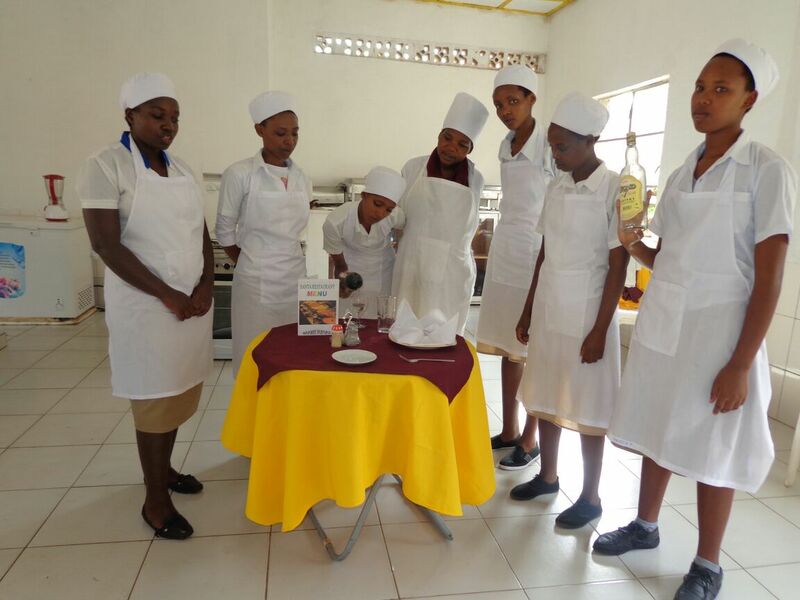 The 40 CTL scholarship students each enrolled in one of three vocational training programs: 19 chose to study hairdressing, 14 studied tailoring and 7 studied culinary arts and hotel operations. The girls performed to standard in their courses, though one area of struggle was in English language for business. 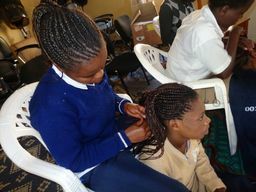 The CTL team is very proud of the girls for working hard during their school holidays to improve their qualifications for finding work after graduation, and is grateful to the CTL teachers in Mayange for their visionary leadership and dedication to improving outcomes for the girls they support through their teaching and mentorship. We hope that we can continue to support programs like this in the future, and invite all interested parties to work with us to support such future programs.